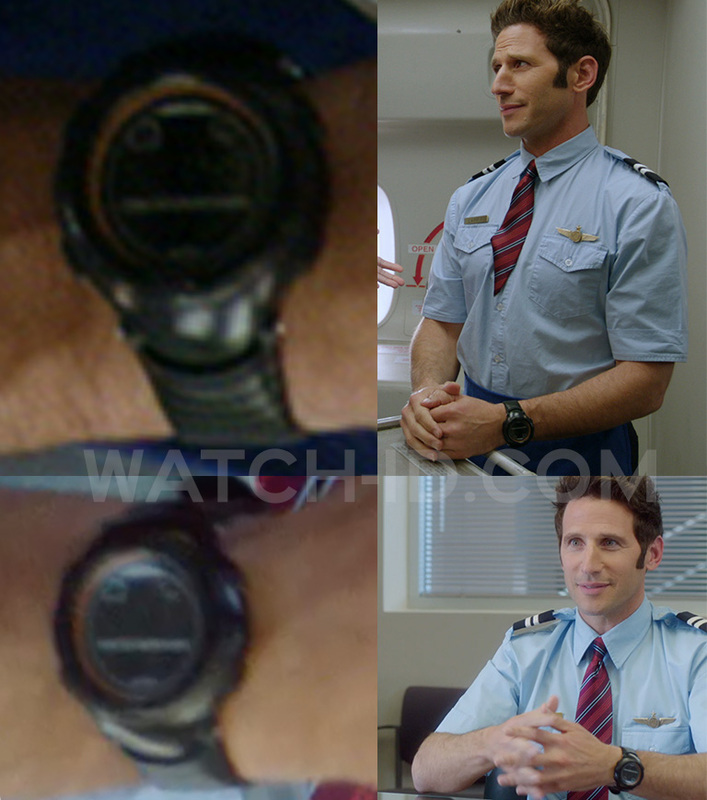 Actor Mark Feuerstein wears a Suunto Vector XBlack watch in the 2015 movie Larry Gaye: Renegade Male Flight Attendant. This is the exact same watch that Mark Feuerstein was wearing in the tv series Royal Pains. It doesn't happen often that an actor wears exactly the same watch in two different productions. The Suunto Vector XBlack is available on Amazon.com for $145. 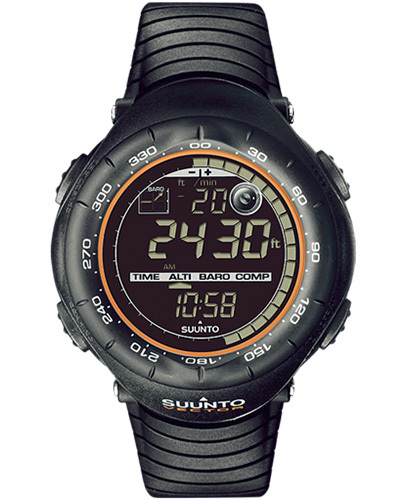 The Vector is available in many color combinations, The Suunto Vector XBlack seen in the movie has a negative screen (light numbers and text on a dark screen) and an orange line around the dial and dark screen with light numbers. See more Vector variations here. Suunto is well known for it's range of outdoor watches and the Suunto Vector is probably the most popular version. This black Suunto Vector XBlack model number SS012279110 features an Altimeter, Barometer and Compass (ABC). The Altimeter has a vertical speed measurement and altitude alarm. The Barometer has pressure difference measurement and the Compass with leveling bubble for more accurate reading. The Vector has an incredible list functions, which is the reason why Suunto calls it a wristcomputer. A Suunto Vector was also worn by Mark Wahlberg in the movie Shooter and a Vector Yellow was worn in the movie 127 Hours.